They trust you to provide the biggest bang for their buck. Brad Zupp provides entertaining presentations that are also practical. His audiences leave feeling smarter and more self confident with real-world skills they've already put into practice, while your clients see increases in sales, referrals, productivity, and better customer service. Attendees are amazed and inspired as they laugh while they supercharge their memories. Practical yet fun, Brad's keynote and general session presentations give audiences practical skills to improve their memory abilities in every area of their lives. Filled with fun and surprising visual examples, feats of memory, and audience interaction. If you need someone to wake up or energize an audience, Brad's icebreaker/session opener is for you. He entertains while providing real-world tips the attendees will use the rest of the day to remember more of what they see, hear and read. Universally appealing. Everyone is interested in remembering better, everyone has forgotten an important name or walked into a room and wondered, "What did I need from here?" Remembering names of prospects and clients earns business and referrals. Unique. Not another motivational speech or boring seminar that participants quickly forget or dismiss. Attendees practice and put the tools to use, before even leaving the session. Amazing. Watch as Brad recalls dozens of participants names of your attendees, memorizes a random number in seconds, or any other of his incredible feats of memory that leave people talking for days. People see for themselves what they can accomplish as they improve their memories. Fun. People are concerned with brain health. They love laughing and having fun while participating in improving their minds. Brad is frequently in the news and on local and national TV, sharing his passion for helping people improve their bottom line (and peace of mind) by remembering better. Your clients can relax knowing they're in the hands of an expert presenter. Click here to visit the Media Appearances page (opens in new window). 2. An Accomplished professional with over 25 years of full-time experience. Before throwing himself into memory improvement, Brad traveled the world entertaining: from corporate events to cruise ships. He's an entertainer who has become America's leading authority on real-world memory improvement. Your clients are safely in the hands of a seasoned pro who has the experience to go with the flow and put the audience first, making every event a success. Everyone can relate to a memory slip, and everyone is impressed and entertained by Brad's amazing feats of memory demonstrations. He's not only someone who has "been there and done that," he's someone who is still hard at work improving his memory, customizing and refining his presentations, and even competing in memory championships worldwide. 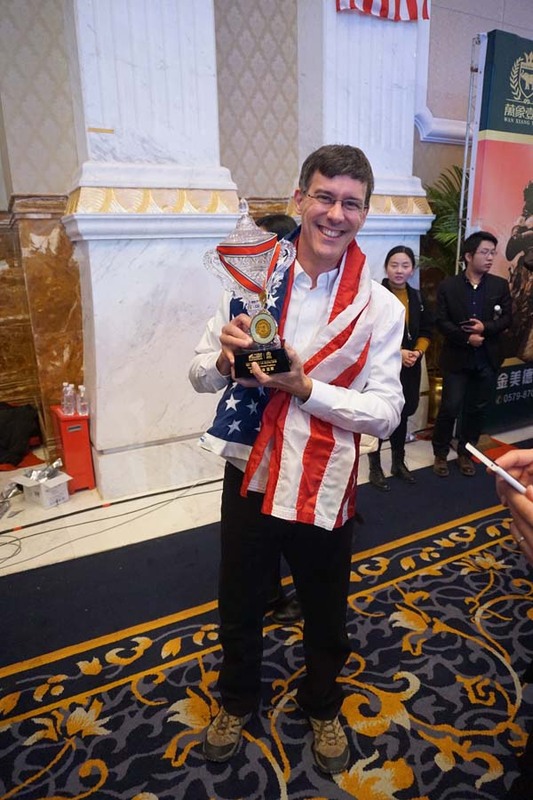 Brad recently helped Team USA to a Silver Medal finish at the World Memory Championships in Chengdu, China. Your clients see someone dedicated to not only his own improvement, but the audience's as well. When clients need materials to make a final decision, these PDFs are available. A detailed overview of Brad's speaking style and most requested keynotes and seminar topics. A short description of Brad's most requested keynote and seminar topics (shorter than the above). A detailed description of Brad's Ice Breaker/Session Opener. A full description of Brad's small group and private coaching. Brad can also customize or create a presentation around a group's specific needs and concerns. You're a superstar when you connect your client with the right speaker. Not every group or event is a good fit for an entertaining memory presentation. But having Brad on your roster will make you look like a superstar when the client wants something a bit different that provides high ROI but still entertaining... "You know; something important, but not boring." You'll be able to say, "Oh, I have the perfect speaker for you!" From keynote speeches to corporate workshops, kickoff events to a lunch and learn, Brad stands ready to "wow" your clients with his energy, experience and "feats of memory."